Heart rate training can be confusing due to all the terminology used and the many opinions on how to determine your threshold zone. Additionally, there are a number of different charts that offer a variety of ranges which adds to the confusion. This is information overload, and to a beginner triathlete this can seem incredibly confusing. 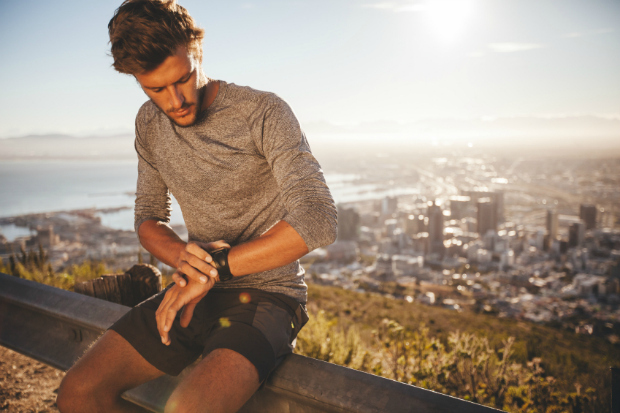 The goal for this article is to give you a good understanding of how and why to test for heart rate zones, which training zones you should spend the most time in and how to make this a simple process. Zone 1 is a super easy effort, probably a 4/10 on the Rate of Perceived Exertion (RPE) chart (at end of article). It's so easy that you should feel ‘guilty' when you are done. You don't think you went hard enough; it didn't feel like a workout; you don't think there was any benefit because it felt too easy. If you have these types of thoughts after a Zone 1 workout, then congratulations, you are doing it right. I call this the "Guilty Zone." Zone 2 should feel pretty easy as well, at least in the beginning. But you should feel as though you have to work if you've been doing this several hours. You may even see cardiac drift towards the end of this workout. How easy is easy for Zone 2? I would recommend somewhere around 5-6/10 on the RPE scale. You should be able to hold a conversation for the duration of this workout, and I mean being able to talk in full sentences, not one- or two-word gasps. This is what I call the "Conversation Zone." Zone 3 gets a little gray, and literally it is a ‘gray zone'. You typically aren't going easy enough to get the benefits of a nice easy effort and you aren't going hard enough to get the benefits of a ‘Race Pace' workout. This is an effort of about 7/10 on the RPE scale, and you can talk in one- to two-word answers. I actually call this zone the NBZ - "No Benefit Zone." Zone 4 is your "Race Pace" zone - this is where you have burning legs and lungs and you can't keep the effort up for much more than an hour. And yes, you have to be pretty fit to keep this effort up for an hour, but by definition, your threshold is an effort you can manage for one hour. You know when you are in Zone 4 as your breathing is labored, your arms and legs get very heavy and all you want to do is stop. This effort is 8-9+ on the RPE scale. Zone 5 and up are for shorter efforts and these are usually 9+ to 10 effort levels on the RPE scale. These efforts may last from a few seconds to maybe five or six minutes. This zone is beneficial if you are doing a lot of racing that has hard but very short efforts, such as bike racing or racing short events on the track in running. Consider that a 400M race around the track that takes world class runners about 40 seconds to complete is around 86 percent aerobic. Now, if you are running a 5K, how much of that race do you think is aerobic? The answer is probably somewhere around 97 to 99 percent. For those of us you are training for half distances and above, there should be a percentage of Zone 3 training as well, but still that percentage may only be 15 to 20 percent each week.